Today I am sharing a quick and easy recipe I prepared as part of a Teddy Bear Picnic lunch & playdate we hosted. 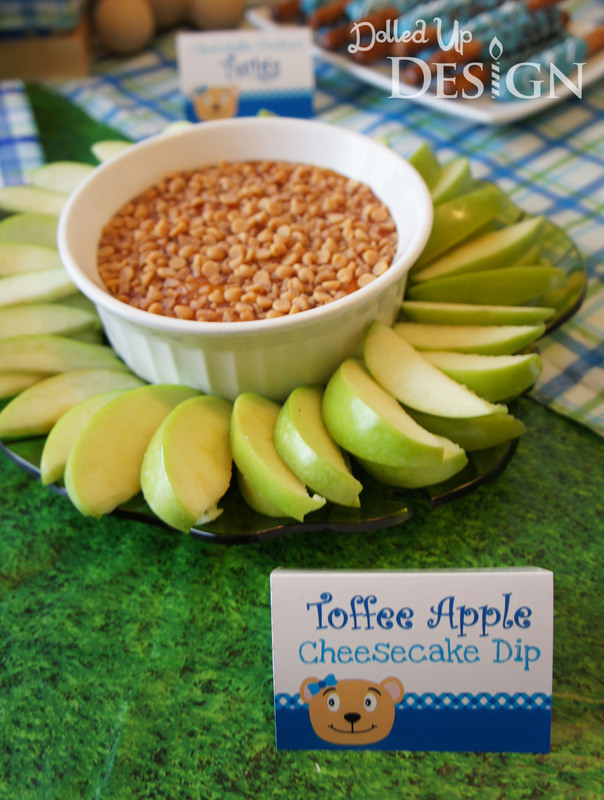 I tried to serve kid friendly foods, but I will be honest and say that this was made mostly for the mom’s to enjoy. 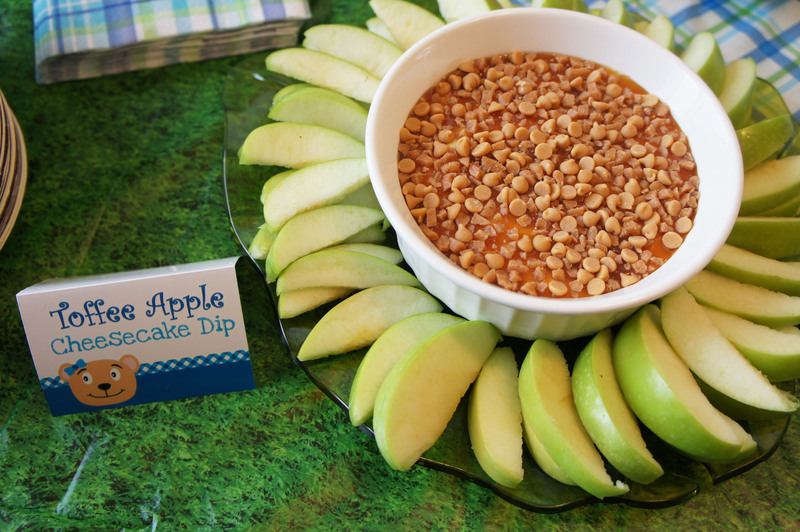 The kids liked the apples, but I don’t think any of them appreciated the creamy, caramel goodness like us adults did! Place softened cream cheese in stand mixer and blend until smooth and creamy. Add in icing sugar, cream and vanilla extract. Mix again until smooth. Place 1/2 of cream cheese mixture in a small serving bowl. Pour a thin layer of the caramel syrup over the cream cheese and sprinkle generously with a combination of the toffee and peanut butter or chocolate chips. Carefully layer the other half of the creamcheese mixture into the bowl and spread to edges. Pour a second layer of caramel syrup over the creamcheese and finish with another sprinkling of the baking chips. Refrigerate for at least an hour for flavors to combine. Serve with sliced apples – I used granny smith.